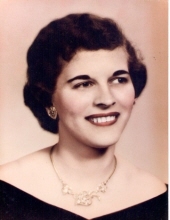 Jeanette Marion Ortmann, 85, Phillips, died in the Aspirus Pleasant View Nursing Home in Phillips on Wednesday, January 30, while under the care of Flambeau Home Health and Hospice. She was born on July 26, 1933, in Waukesha City, Wisconsin, the daughter of Christ and Hazel Bertz) Blum. She spent her early life and received her schooling in Menomonee Falls, Wisconsin, and was a 1951 graduate of the Menomonee Falls High School. She was married to Martin Ortmann on November 20, 1954, in Waukesha City, WI. They made their home in the Phillips area in 1974 when they purchased Lake 10 Tavern and Resort, which they operated from 1974 to 1982. She was employed by Phillips Plastics Corporation from 1975 until the time of her retirement in 1996. She was a member of Saint Therese of Lisieux Catholic Church of Phillips. In her free time she enjoyed quilting, fishing, camping, travel, playing cribbage, and was an avid Brewers and Packers fan. She is survived by five daughters, Deborah (Bruce) Reinke, Phillips, Carol (Steve) Kind, Phillips, Jeanne (Chrystal Hogan), Cordova, TN, Karen Meyer, Phillips, and Tina (Don) Posch, Duluth, MN; by 10 grandchildren and 7 great grandchildren; and by one sister, Rosemary Blum, Lannon, WI. She was preceded in death by her husband, Martin, on April 12, 2016, and is also preceded in death by one brother, Robert, and by two sisters, Katherine Cone and Florence Blum. To plant a tree in memory of Jeanette Marion Ortmann, please visit our Tribute Store. "Email Address" would like to share the life celebration of Jeanette Marion Ortmann. Click on the "link" to go to share a favorite memory or leave a condolence message for the family.